Here's another model I restored from a built kit I got at a swap meet. 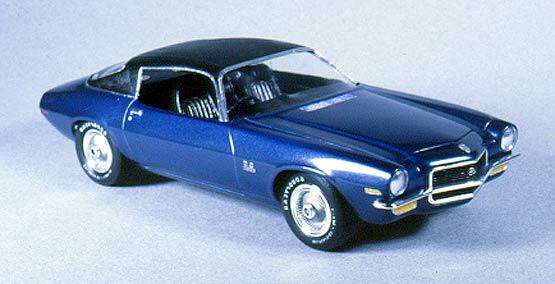 This is an original MPC '70 Chevy Camaro SS396. When I got it, it was painted a heavy brush coat of metallic pink. After stripping the body, it turned out to be unmolested underneath thankfully. The chrome was sent out and replated and the missing wheels and tires were replaced with ones from an AMT '70 Chevrolet Impala kit. The vinyl top was molded as part of the body already and only needed a light texture coat of black to bring it to life. I repainted everything and then rebuilt it.